Starting July 2nd GitHub is allowing hosting binaries again. Point about Google Code still remains valid. Plus, we believe we still do better job when it comes to binaries, comparing to GitHub, which is awesome (for your sources). Well, first GitHub, and now Google Code, both cease to host your binaries on their platforms. The reasons are the same – distributing binaries is not what they do. They manage source code, documentation, issues, etc., but not binaries, that’s a whole different business. How do we know? Because it’s our business. 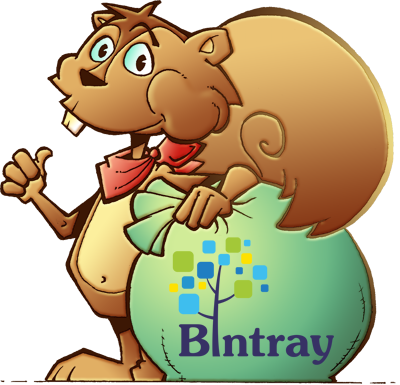 As opposed to project development platforms, Bintray is a platform, that does one thing right – distributing your OSS binaries. And it’s free. So, what makes this Bintray thing better than other binaries hosting solution, you might ask? Stay with your development platform, it is fine, we’ll take it from there. In case with GitHub – literally; we’ll set up your repositories and packages based on your GitHub projects information. Bottom line, before worrying about yet another binaries storage termination, simply just use an appropriate platform for binaries from day one, Bintray! 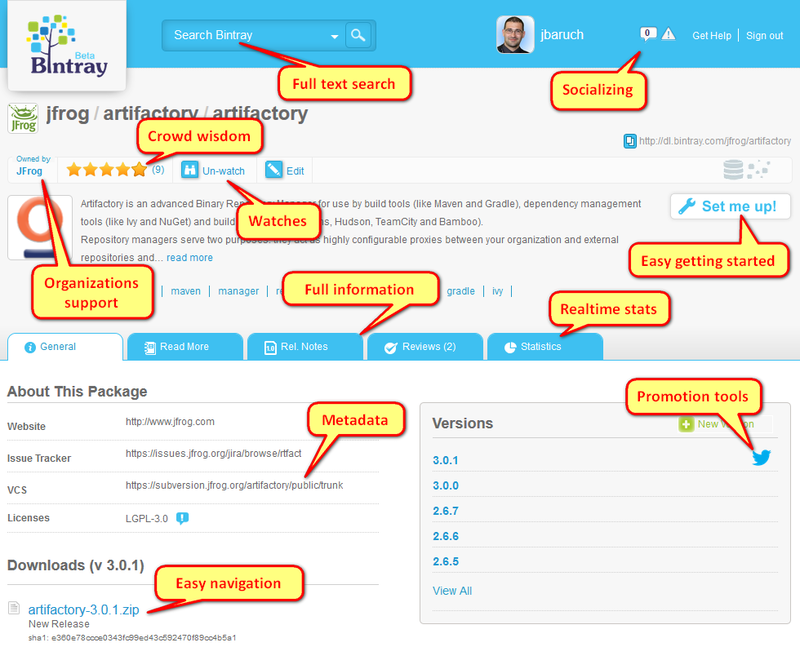 Bintray’s structural and hierarchical organization makes sure all your package files are tidy. Crowd wisdom and high front page visibility for newest releases, makes abuse evident.